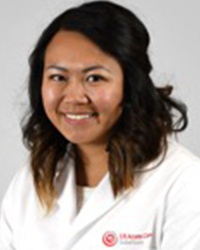 Vicky Nguyen MD, is the medical director at Centura Health and Urgent Care - Highlands Ranch in Highlands Ranch, CO, and Southlands ER-Parker Adventist Hospital in Aurora, CO. She has been with US Acute Care Solutions since 2016 and is a USACS Scholar. Dr. Nguyen received her bachelors from the University of Colorado in Boulder, CO. He then went on to earn her medical degree from the University of Colorado School of Medicine in Denver, CO. She completed her Emergency Medicine Residency University of California Los Angeles-Olive View Medical Center in Los Angeles, CA, where she was Chief Resident. Dr. Nguyen is a member of the American College of Emergency Physicians. She is licensed in advanced and pediatric life support.